After reversing into a parked car a 56-year-old man did not think there was any damage and drove on without reporting the accident. Alan Stafford, The Laurels, Portadown, was fined £150 last Wednesday at Craigavon Magistrates Court for driving without due care and attention on March 17 this year. He was also given three penalty points. Fines of £100 were imposed for failing to remain at the scene and failing to report an accident. 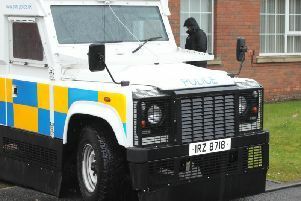 The court heard the injured party reported to police that she had parked her car in the Bridge Street car park in Portadown. When she returned to the vehicle she noticed damage to a bumper. A person who witnessed the hit and run gave the registration number of the vehicle involved to the police. Stafford admitted reversing into the other car. A defence solicitor said that when Stafford realised he had struck the other vehicle he got out. She added that he looked and when he couldn’t see any damage he drove on. Deputy District Judge Neil Rafferty said the defendant ‘just didn’t do the decent thing’.